Deputy Head of the Unit - Olexandr Kalynovskyi, PhD in Law, Senior Researcher. The general management of the Scientific And Research Work Unit was provided by Vice-rectors for scientific work A. P. Zakalyuk (1992–1995), M. V. Kostyts'kyi (1996–1998), V. D. Sushchenko (1998–2003), O. M. Dzhuzha (2003–2012). Nowadays the management of the Unit is performed by the Vice-rector of the Academy Serhii Cherniavskyi. 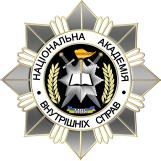 The Scientific And Research Work Unit is an independent structural unit of the academy that provides implementation of state policy in scientific, technical and innovative sectors in the interest of deepening the integration of research, teaching and educational process and law enforcement practices of the Ministry of Internal Affairs. – to promote international scientific cooperation, enabling interuniversity cooperation and other bonds in the scientific field. Scientific and research work of correspondence students, cadets and students is carried out according to the laws of Ukraine " On scientific and technical activity" and "On Higher Education"; decrees of the President of Ukraine "On urgent measures to ensure the functioning and development of education in Ukraine " dated 04.07.2005 № 1013; "On the National Doctrine of Education Development" dated 15.09.2005 № 1278; regulations on the organization of the and scientific, research and experimental work in the system of the Ministry of Internal Affairs of Ukraine (order of the Ministry of Internal Affairs of Ukraine dated 15.05.2007 № 154); regulation on the legal, organizational and methodological support of correspondence students, cadets and students research activities in higher education schools of the Ministry of Internal Affairs of Ukraine (order of the Ministry of Internal Affairs of Ukraine dated 12.03.2009 № 109); order of the Ministry of Internal Affairs of Ukraine of Ukraine " On the determination of basic higher educational establishments of Ukraine "dated 05.06.2008 № 612; list of priorities in the scientific support of the law enforcement bodies activity for the period of 2010-2014 and plans of scientific, research and experimental wok of the National Academy of Internal Affairs and other national, departmental plans and programs of higher education and research development, the orders of the rector, the decisions of the academy administration and the Academic Council. Organizational and research work with the variable staff is provided by the department of scientific research, which includes the sector of cadets and students research. Every year in January curators are appointed to the structural units dealing with the organization of scientific work of the variable staff. Planning of the Research work of the variable staff is carried out in accordance with the shall annual plans of scientific, research and experimental work of the academy, annual plans of research work of the training and research institutes, faculties and departments ( laboratories). The decisive indicator of the scientific work with the variable staff is its planning at the level of the academy (Section 4 of the Plan of scientific, research and experimental work of the academy). To coordinate the scientific work of the variable staff, each training and research institute (faculty) has organized scientific societies (total number is 6). Another organizational form of the variable staff participation in research is a scientific group. The work of research groups at the academy starts at the beginning of the academic year. In addition, there is a scientific society "Evrika" in the Lyceum of law. It has 3 sections: the basics of law, applied science and mathematics, social sciences and humanities. There are legal clinics (public units, which provide a combination of training and practice) at the Public Safety Militia and Internal Troops Units' Training and Research Institute, Investigation and Criminal Militia Units' Specialists Training and Research Institute, Training and Research Institute of Law and Psychology. The scientific potential of the variable staff is used when planned research work is carried out. Cadets, students and correspondence students are active participants in international, national and intercollegiate conferences, seminars and round tables, competitions held at the Academy and beyond. Cadets and students of the academy publish the results of their research not only as abstracts or materials of presentations on diverse thematic conferences, round tables, but also in academic journals such as "Labour Protection", "Bulletin of the Academy of Advocacy of Ukraine", "Innovative technologies of training gifted youth", "Customs", a collection of scientific works "State and Law", “Scientific Bulletin of the National Academy of Internal Affairs”; " Scientific Bulletin of L'viv National University of Internal Affairs," "Notary of Ukraine" and others. The students and cadets potential is manifested in ongoing active participation in scientific events organized by the Ministry of Internal Affairs of Ukraine, Ministry of Education and Science of Ukraine, National Academy of Sciences of Ukraine and other agencies . The academy traditionally maintains relations with the Parliament of Ukraine. So, every year our students and cadets participate in events held by the Verkhovna Rada of Ukraine.